After 2 years in orbit, ESA’s GOCE satellite recently unveiled the latest 3D map of Earth’s geoid, the reference surface that serves to measure elevations. 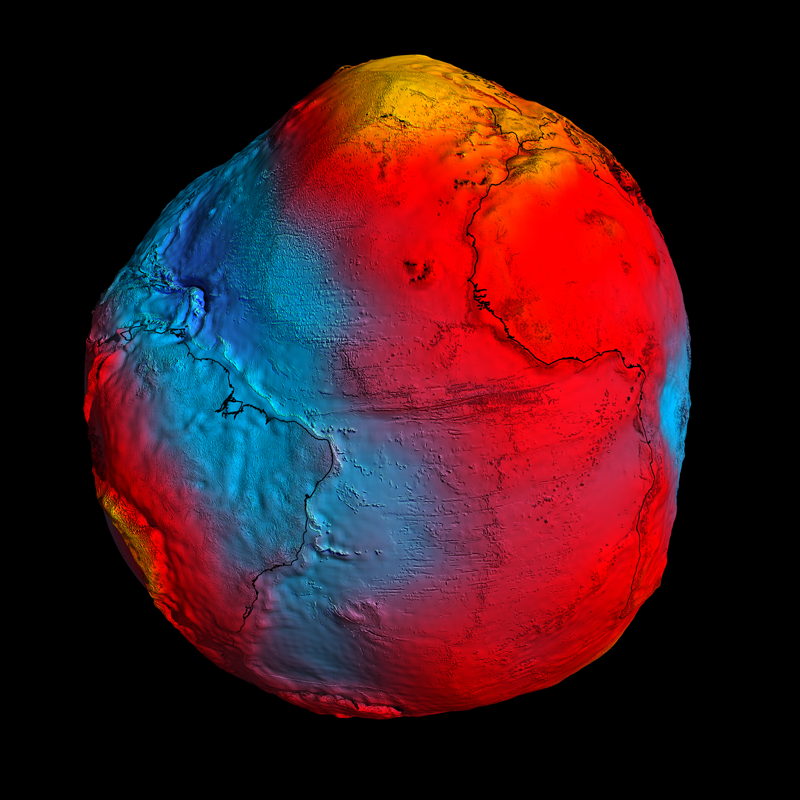 The best view yet of Earth’s geoid obtained by GOCE (strongest gravity measurements in yellow, weakest measurements in blue). Credits: ESA/HPF/DLR. 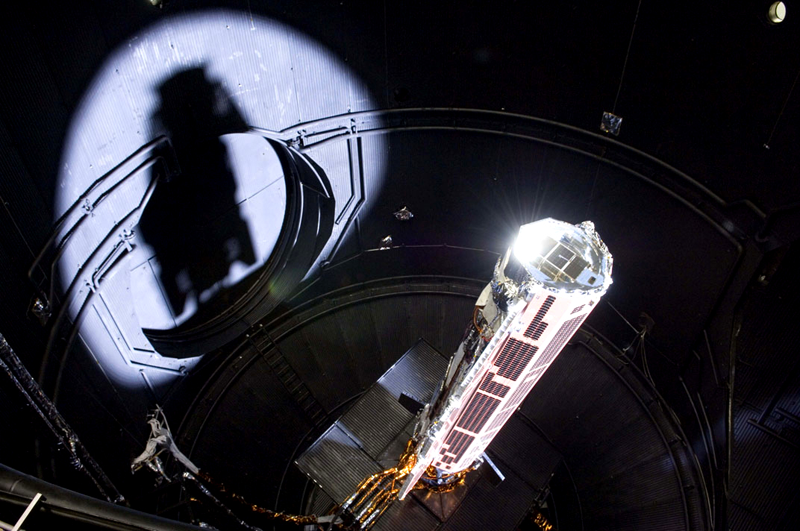 Launched in March 2009 from the Plesetsk Cosmodrome in Russia, the GOCE satellite measures Earth’s gravity field by acquiring and accumulating precise data designed to generate a reference product for use by scientists working in a range of fields. This product takes the form of a 3D map of the geoid, the virtual surface that serves as a reference for measuring elevations. 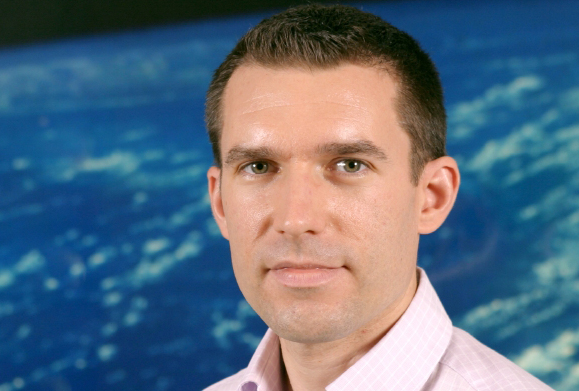 Steven Hosford, in charge of Solid Earth programmes at CNES. Credits: CNES/C. Dupont. From the initial mission concepts through to generation of the most accurate models obtained from the satellite’s data, CNES has fulfilled its role as an agency driving innovation. Until now, each country had a national geoid generated from ground and aerial data using often very different references. The high-resolution geoid produced by GOCE will serve as a global reference to make these national geoids more uniform and ease comparisons between continents. 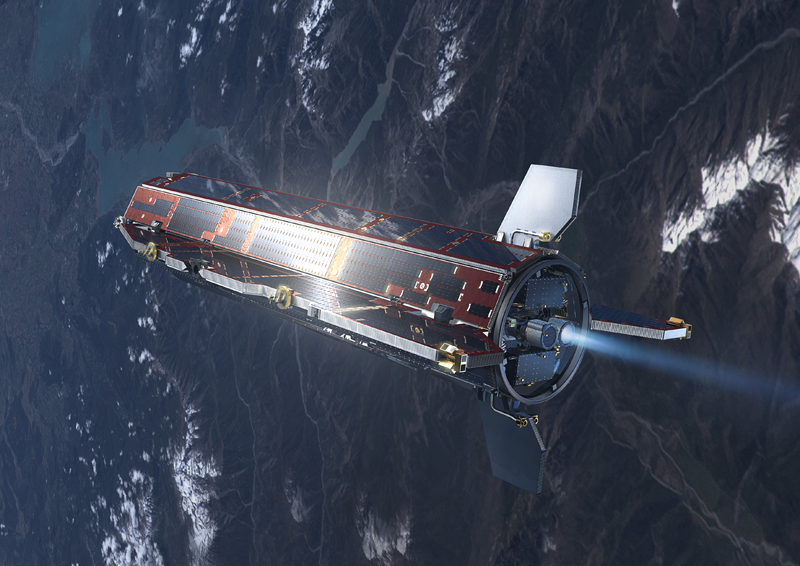 ESA’s GOCE satellite in orbit. Credits: Ill. ESA. Scientists also hope to study Earth’s internal geodynamics, in particular to improve our understanding of earthquakes. GOCE undergoing tests just before its launch in 2009. Credits: ESA. Lastly, using the improved geoid obtained with GOCE and comparing it with precise altimetry data from other satellites, scientists can measure ocean currents and related heat transfers more accurately. And that’s not all, as GOCE data are also useful for monitoring sea level, a crucial parameter for understanding climate change.